I’m particularly interested in the biographical format due to my interest in contexts of artistic production. Often as researchers, we are encouraged to distance ourselves personally from our object of research. However, I feel that is is sometimes necessary and even preferable to position ourselves within the research, and, as is certainly in the case with ‘Aby Warburg: An Intellectual Biography’, it makes for a more enjoyable and engaging experience. My ongoing interest in Aby Warburg and his application of art history as social history has led me to read this intellectual biography of his life and work written by E H Gombrich. At the beginning of the book, Gombrich outlined the methods he applied when writing about Warburg, including the difficulties of separating Warburgs life from his work: “One thing was clear; the criticism of those who had felt that Warburg’s ideas could not be presented in a void and divorced from his personality and his life were justified.” (Gombrich, 1986, p. 4) Although this is described as a criticism, particularly in relation to Warburg’s problems with his mental health, Gombrich uses this to his advantage to present a more holistic view of Warburg’s work and of research practice in general. In this way, Warburg’s study of civilisations is not only directed at the study of material culture but also at the study of the artists producing these objects and images. My previous interest in the methods of Aby Warburg has led me to consider the ‘Atlas’ as a strategy for mapping cultural practice as well as an artistic method in itself. These collections and their meanings were further disseminated through the use of reproduction and printing such as in the work of David Teniers, whose patron was the Hapsburg Archduke Leopold Wilhelm. Between 1651 and 1660, Teniers was to document the Archduke’s collection in a series of paintings, before continuing to reproduce the works as etchings to produce an illustrated catalogue. The exhibition began with reproductions of panels from the Mnemosyne Atlas, a sculpture of the Ancient Greek figure of Atlas, and documents from Warburg’s working process. 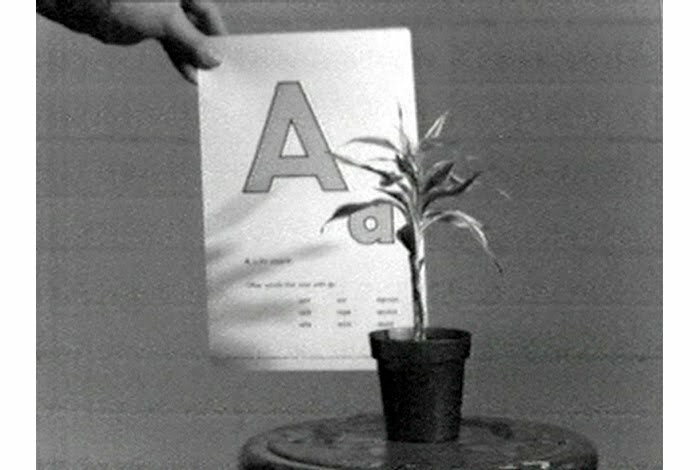 These works were accompanied by a variety of interpretations of the Atlas format by artists including Paul Klee, ‘Pflanzen auf schwarz grundiertem Papier’ (Plants on Black-Primed Paper), On Kawara’s ongoing postcard atlas entitled ‘I GOT UP’, Marcel Broodthaers’ ‘La Conquête de l’espace’ (The Conquest of Space), John Baldessari’s video ‘Teaching a Plant the Alphabet’, Matt Mullican ‘Bulletin Board’, Walid Raad (The Atlas Group), ‘Missing Lebanese Wars, Notebook Volume 72 (1996–2002)’, and the 16mm film ‘Encyclopaedia Britannica’ by John Latham. The artists shown in the exhibition aimed to challenge and investigate the need to collect and to archive, as well as to show potential ways for creating new narratives from the collected material. Other artists exploring the networked and fragmentary nature of the image archive included Annie MacDonell, Dina Kelberman, and most notably, Gerhard Richter. Since 1964 Gerhard Richter has been collecting images and arranging them onto panels. The images consist of found photographs and ones taken by the artist, sketches, illustrations and plans for public commissions. When they were exhibited in 1995 at the Dia Art Foundation, New York in 1995, the collection comprised of five thousand images amassed over six hundred panels. 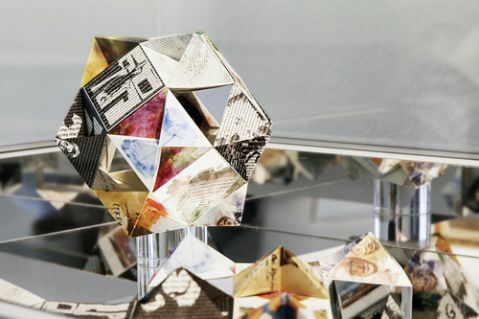 Historical inquiry relies on the archive for its material in order to build narratives and explore connections between events. “The origin of the word ‘archive’… stems from the Greek and Latin words for ‘town hall, ruling office’, which, in turn, are derived from ‘beginning, origin, rule’. Order, efficiency, completeness, and objectivity are the principles of archival work.” (Marx et al., 2007, pp. 1-2). This definition is taken from the introduction to the book ‘Walter Benjamin’s Archive’ edited by Ursula Marx et al., and describes how Benjamin’s methods were akin to that of a collector, rather than an archivist, based on his on-going documentation of his own thoughts and observations. (Marx et al., 2007, p2). Benjamin’s interest in the effects of photography was established in his seminal work ‘The Work of Art in the Age of Mechanical Reproduction’. As polychrome picture postcards had become available to the masses from three years after Benjamin’s birth, it is no surprise that these were to have a profound effect on his way of thinking and collecting. (Marx et al., 2007, p171) However, these democratised postcard images were to once again become ‘auratic’ objects, as they morphed back into collectable items. Benjamin often searched for particular postcards to add to his collection, which he described as “a form of practical memory” (AP, p.205) and a “primal phenomenon of study” (AP, p.210). (Marx et al., 2007, p171). Card indexes were developed in the Renaissance as the Modern drive towards archiving rendered bound catalogues impractical. As such, institutions including “the court library at Vienna introduced a card index catalog around 1780 [and] parish registers [were] entered onto slips or even card, in order to be able to deploy the individual entries independently of the place of their transmission, and to be able to order them according to different criteria. Transfer to individual scraps or cards [also made] possible lexical projects such as the Goethe-Dictionary”. (WBA, p29) Benjamin’s use of cut and paste techniques, keywords and networked card structures also suggests a prescience in light of the emergence of the Internet, similarly discussed in Freud’s ‘Mystic Writing-Pad’. This week I decided to consolidate my my own experiences of working in archives and collections by reading more about other artists working in this way, and particularly how these methods have been critically and historically received. One source of information on artists and writers working in this field was the edited collection, ‘The Archive’. ‘The Archive’ presents a number of essays which include definitions, provocations and working models of archives in relation to modern and contemporary art practice. In the essay ‘The Historical a priori and the Archive’, Michel Foucault places the archive between the “language (langue) that defines the system of constructing possible sentences, and the corpus that passively collects the words that are spoken… it reveals the rules of a practice that enables statements both to survive and to undergo regular modification. It is the general system of the formation and transformation of statements… it emerges in fragments, regions and levels, more fully, no doubt, and with greater sharpness, the greater the time that separates us from it.” (Foucault, 1969, p29) Through describing the archive as a system which determines that which is remembered and that which is forgotten, Foucault challenges the notion of the archive as a neutral space of authority. Freud likens this process and the resultant impressions left on the wax slab to the perceptual functions of the brain. As a solution to the issues of providing an indefinite surface with which to record a permanent trace, coupled with links to outsourcing memory, the essay begins to touch on ideas of modern computing and cloud storage decades before these technologies become a reality.